I found out about Sushi Modo through my friend @jershauneats (you should follow them on IG). I saw a pic of their aburi oshi and I was sold. 1. 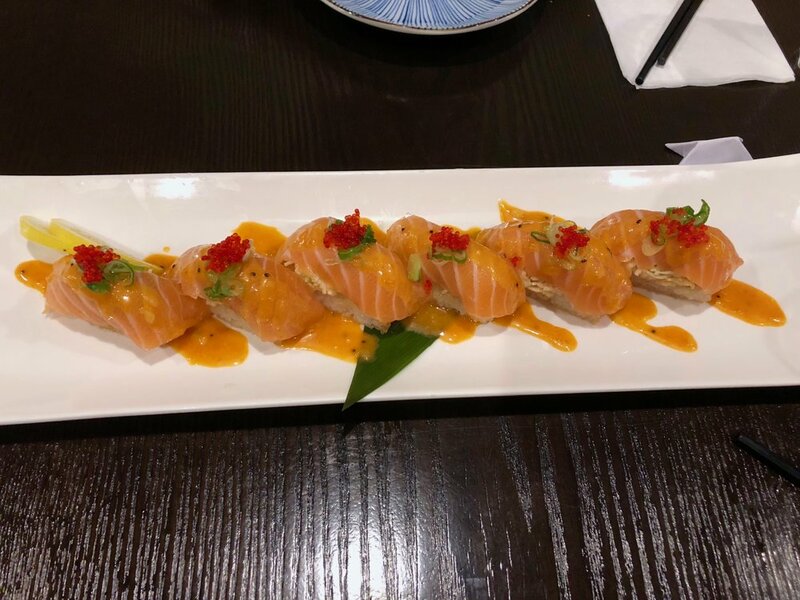 Crazy Salmon Roll - this was really good. the rice was deep fried with imitation crab in the middle and a salmon on top with sauce over it. 2. Volcano Roll - this roll had tuna in the middle, two type of sauces and the roll was aburi styled. SO good. 3. Salmon Oshi - The dish I was waiting for. This salmon aburi oshi is the closest I've had it to Miku. Keep in mind that it costs $17 at Miku. I think it was $11 or $12 at Sushi Modo. It was really good, it hit the spot. I highly recommend this here and I'd love to try their other versions of it as well. Everything was good, service was good. Super happy to give this place a perfect score.